Mayors from francophone West Africa learn more about TCI and family planning at a site visit in Senegal. Photo by Clement Tardif for IntraHealth International. I will never forget the reaction of one of the mayors in Rwanda during an advocacy workshop on family planning as we passed around a variety of modern contraceptive methods, inviting participants to open, touch, and feel them. It was his first experience holding an intrauterine device (IUD). He also had never touched a female condom or seen a contraceptive implant. Our project had designed a series of workshops including hands-on, tactile experiences for mayors of all of the country’s 30 districts. We wanted the mayors to leave with a better understanding not only of the benefits—both health and economic—of family planning, but also of the point of view of the women and men in their communities. This was back in 2007. After the workshops, and with ongoing advocacy work with parliamentarians, journalists, local community-based organizations, and others, mayors started investing more of their own budgets in high-impact maternal and child health services—including family planning. This, among other initiatives, contributed to Rwanda’s unprecedented increase in the rise of the percentage of women who chose to use modern contraception from 10% in 2005 to more than 40% by 2010. We also collaborated with the Ministry of Health to train hundreds of health workers in contraceptive technology and counselling to ensure free and informed choice, and helped create secondary health posts in communities to offer modern contraception where it had not been previously available. Women stood in long lines when they first heard about the availability of contraceptive implants at their local health centers. It turns out that there was a significant latent demand for modern contraception. When family planning services and contraceptives became available at all levels of the health system, women showed up. What do mayors have to do with family planning? According to the United Nations, 66% of people around the world will be living in urban areas by 2050—2.5 billion more people than today. Ninety percent of this increase will be in cities in Asia and Africa. Despite increasing urbanization, the poorest and most disadvantaged people living in cities rarely have adequate access to health information and services. Providing access to a wide variety of contraception choices for the more than 220 million women who currently can’t get the method they would like to use—or have no access at all—would save the lives of hundreds of thousands of women and babies. Advocating to public officials is essential. Not just at ministries of health and finance but at all levels of government. It’s essential to ensuring continued investments are made at the country level. And mayors are a great place to start. Empowering civil society members and coalitions to hold their governments accountable for providing family planning also isn’t optional. Since 2011, IntraHealth International has been working throughout West Africa through the Strengthening Civil Society Engagement for Family Planning initiative, helping countries create strong coalitions that are holding their governments more accountable—and empowering youth ambassadors to amplify their voices about family planning and the world they want to create. 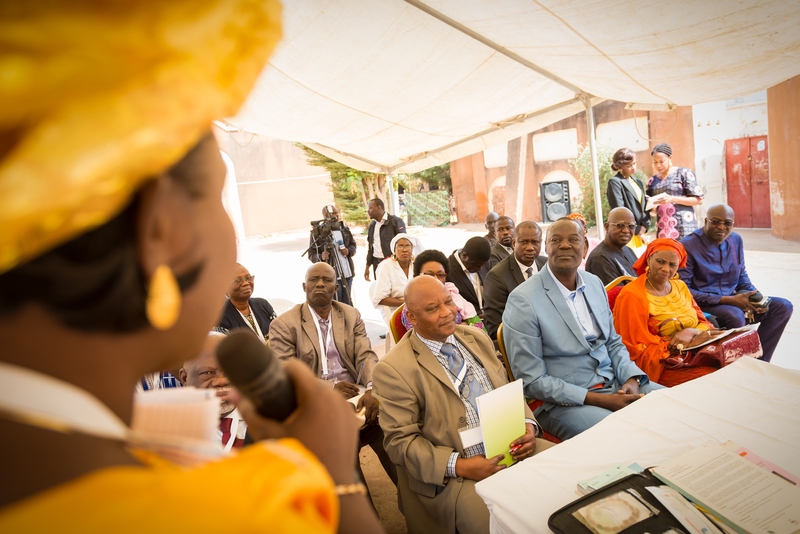 Just this past February, mayors from 10 countries in West and Central Africa came together in Dakar, Senegal, for the launch of The Challenge Initiative’s (TCI’s) West African francophone hub, which focuses on urban areas in the French-speaking countries in the region. The mayors spent a day visiting sites—mosques, health centers, and more—in and around Dakar in which IntraHealth has, with support from the Bill & Melinda Gates Foundation, worked to increase access to modern contraception over the past several years. Participants then came together for a two-day workshop to learn more about family planning and TCI, capped by an official launch ceremony. Following this TCI launch, mayors have already started to commit to identifying resources in their own cities and countries to support family planning. TCI focuses on mayors as powerful actors in unlocking resources to support high-impact family planning practices, improving the well-being of the populations they serve and the economic development of the municipalities they govern. We know that family planning is a “best buy,” and that every dollar spent on family planning results in reductions in child and maternal deaths, returns in savings in other development areas, environmental benefits—and social and economic growth. At an annual cost of only $25 per woman of reproductive age in the developing world—or $7 per person—family planning produces a return on investment of $150 back on every dollar spent in improved health, productivity, environmental, and social impact, as documented by the Guttmacher Institute. A group of leading economists associated with the Copenhagen Consensus Center also conducted a cost-benefit analysis in 2014 of the proposed Sustainable Development Goals (SDGs) targets and goals and rated investment in sexual and reproductive health as “phenomenal”—among the top 13 out of 169 SDG targets. Mayors and other local government officials who understand the broad health and development returns of family planning investments are more likely to become family planning champions. Yes, an individual IUD might be “so small,” but its potential impact, when multiplied by millions, is huge. This post originally appeared on the blog of the Knowledge for Health Project (K4Health). IntraHealth’s advocacy work in Rwanda was part of a William and Flora Hewlett Foundation-supported initiative to help create a more enabling policy environment for family planning at all levels of the government and throughout civil society, supporting the Ministry of Health and the USAID-funded five-year Twubakane Decentralization and Health Program in its family planning work. Strengthening Civil Society Engagement for Family Planning is an ongoing IntraHealth-led initiative also funded by the Hewlett Foundation and currently being expanded through a grant from the Dutch government. The Challenge Initiative is a three-year urban reproductive health program funded by the Bill & Melinda Gates Foundation and managed by the Bill & Melinda Gates Institute for Population and Reproductive Health at the Johns Hopkins Bloomberg School of Public Health. TCI was designed to respond to the growing reproductive health needs of those living in urban areas, providing seed funding and advocating for municipalities and their partners to invest in high-impact family planning interventions. Envie de parler de planification familiale ? Dialoguez avec le maire de votre localité ! Je n'oublierai jamais la réaction d'un des maires rencontrés au Rwanda durant un atelier de plaidoyer en faveur de la planification familiale, alors que nous faisions circuler différentes méthodes de contraception modernes, en invitant les participants à les ouvrir, à les toucher et à se familiariser avec elles. C'était la première fois qu'il avait entre les mains un dispositif intra-utérin (DIU). De plus, il n'avait auparavant jamais touché un préservatif féminin ou vu un implant contraceptif. Notre projet avait conçu toute une série d'ateliers, notamment des séances interactives et axées sur les sensations tactiles destinées aux mères de l'ensemble des 30 districts du pays. Nous souhaitions que les maires rentrent chez eux en comprenant mieux non seulement les avantages (tant sur le plan sanitaire qu'économique) de la planification familiale mais également le point de vue des femmes et des hommes au sein des collectivités. Cela remonte à 2007. À la suite des ateliers, et par le biais d'efforts de plaidoyer continu auprès des parlementaires, des journalistes, des organisations établies au niveau des collectivités locales et d'autres intervenants, les maires ont commencé à investir une portion plus importante de leur budget dans des services de santé maternelle et infantile à haut impact, notamment en planification familiale. Cette démarche et d'autres initiatives ont contribué à l'augmentation sans précédent du pourcentage de femmes au Rwanda choisissant de recourir à la contraception moderne, ce taux passant de 10% en 2005 à plus de 40% en 2010. Nous avons également collaboré avec le Ministère de la Santé pour former des centaines de prestataires de soins aux technologies contraceptives et au counseling dans ce domaine pour garantir le choix libre et éclairé des clientes. Nous avons, en outre, facilité la création de postes de santé secondaires au niveau des communautés pour dispenser des méthodes contraceptives modernes là où elles n'étaient précédemment pas disponibles. Lorsqu’elles ont pris connaissance de la disponibilité des implants contraceptifs dans leurs centres de santé locaux, les femmes ont pris place dans de longues files d'attente. Il se trouve qu'il existait un besoin latent considérable en matière de méthodes contraceptives modernes. Lorsque les services de planification familiale et les contraceptifs sont devenus disponibles à tous les niveaux du système de santé, les femmes se sont manifestées. Quel lien unit les maires à la planification familiale ? D'après les Nations Unies, 66% des personnes à travers le monde vivront en milieu urbain d'ici 2050, soit 2,5 milliards d'individus de plus qu'aujourd'hui. Quatre-vingt-dix pour cent de cette augmentation affectera des villes situées en Asie et en Afrique. Malgré l'urbanisation croissante, les personnes les plus pauvres vivant dans les villes bénéficient rarement d'un accès adéquat aux services de soins et à des informations à caractère sanitaire. Plaider auprès des autorités publiques (pas seulement auprès des Ministères de la Santé et des Finances mais à tous les niveaux du gouvernement) et permettre aux membres et aux coalitions de la société civile d'exiger de leurs gouvernements l'accès à des services de planification familiale sont des démarches loin d'être facultatives. Elles sont d'une importance capitale pour garantir la réalisation d'investissements continus au niveau national. Et les maires représentent un excellent point de départ. Depuis 2011, IntraHealth International travaille à travers l'Afrique de l'Ouest dans le cadre de l'initiative de Renforcement de l'engagement de la société civile en faveur de la planification familiale. Elle facilite la création de puissantes coalitions nationales tenant les gouvernements redevable de leurs engagements et permet à des jeunes ambassadeurs de faire entendre leur voix au sujet de la planification familiale et de promouvoir leur vision du monde. Pas plus tard qu'en février dernier, des maires issus de dix pays d'Afrique de l'Ouest et du Centre se sont réunis à Dakar au Sénégal pour le lancement du Pôle francophone ouest-africain d’accélération de la planification familiale, The Challenge Initiative (TCI), qui se focalise sur les zones urbaines des pays francophones de la région. Ces élus ont passé une journée à visiter différents sites (mosquées, centres de santé et autres) à Dakar et dans sa périphérie au sein desquels IntraHealth a, avec le soutien de la Fondation Bill & Melinda Gates, œuvré pour accroître l'accès aux méthodes de contraception modernes au cours des dernières années. Les participants se sont ensuite réunis dans le cadre d'un atelier de deux jours pour approfondir leurs connaissances sur la planification familiale et l'initiative TCI, le tout couronné d'une cérémonie de lancement officiel. Suite à cette visite, les maires se sont engagés à apporter des ressources supplémentaires pour soutenir les programmes de planification familiale dans leur pays respectifs. Qu'en est-il des réalités financières ? L'initiative TCI se concentre sur les maires pour qu’ils interviennent efficacement dans le déblocage des ressources visant à soutenir des pratiques à haut impact dans le domaine de la planification familiale, l'amélioration du bien-être des populations dont ils sont au service et le développement économique des communautés qu'ils gouvernent. L'accès à une large gamme de choix contraceptifs pour plus de 220 millions de femmes ne pouvant, à l'heure actuelle, pas utiliser la méthode qu'elles souhaitent, voire tout simplement y avoir accès, permettrait de sauver des centaines de milliers de vies de femmes et d’enfants. Nous savons, en outre, que la planification familiale est une approche « gagnante » et que chaque dollar dépensé dans ce domaine aboutit à une réduction des décès infantiles et maternels, permet de réaliser des économies dans d'autres domaines de développement, a des retombées positives sur l'environnement et alimente la croissance sociale et économique. Avec un coût annuel de seulement 25 dollars US par femme en âge de procréer dans les pays en développement, soit 7 dollars par personne, la planification familiale génère un retour sur investissement de 150 dollars pour chaque dollar dépensé en faveur de l'amélioration de la santé, de la productivité, de l'environnement et des progrès sociaux, comme l'a démontré le Guttmacher Institute. Un groupe d'économistes éminents associés au Consensus de Copenhague a également réalisé une analyse de rentabilité en 2014 des cibles et des buts proposés dans le cadre des Objectifs de développement durable (ODD) et classé les investissements dans le domaine de la santé sexuelle et de la reproduction comme « phénoménaux », parmi les 13 premiers des 169 objectifs ciblés des ODD. Les maires et les autres représentants des collectivités locales qui comprennent en quoi les investissements en planification familiale se répercutent de manière positive sur la santé et le développement au sens large sont plus susceptibles de devenir d'ardents défenseurs de cette cause. Oui, un DIU peut paraître « tout petit » mais son impact potentiel, lorsqu'il est multiplié plusieurs millions de fois, est énorme. Le travail de plaidoyer entrepris par IntraHealth au Rwanda entrait dans le cadre d'une initiative soutenue par la Fondation Hewlett pour faciliter l'instauration d'un environnement politique favorable à la planification familiale à tous les niveaux du gouvernement et à travers la société civile, en aidant le ministère de la Santé et le Programme quinquennal de décentralisation et de santé Twubakane financé par l'USAID et géré par IntraHealth dans ses efforts de promotion de la planification familiale. Le Renforcement de l'engagement de la société civile en faveur de la planification familiale est une initiative dirigée par IntraHealth également financée par la Fondation Hewlett et actuellement étendue à l'aide d'une subvention octroyée par le gouvernement néerlandais. The Challenge Initiative est un programme triennal de santé de la reproduction en milieu urbain financé par la Fondation Bill & Melinda Gates et gérée par l'Institut Bill & Melinda Gates pour la population et la santé de la reproduction au sein de l'École de santé publique Johns Hopkins Bloomberg. TCI a été conçue pour répondre aux besoins croissants en santé de la reproduction des personnes vivant en milieu urbain, en octroyant un financement initial et en plaidant auprès des municipalités et des partenaires pour qu'ils investissent dans des interventions à haut impact en planification familiale.